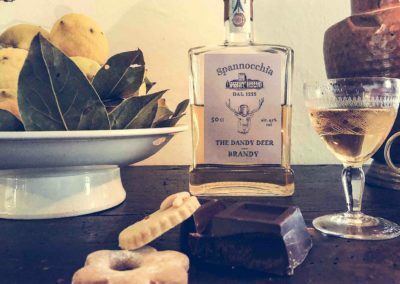 In keeping with Italian tradition, Spannocchia has broadened its’ product line to include distillates. 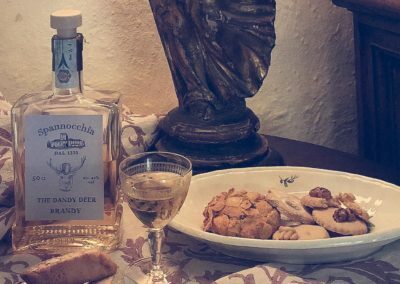 In addition to producing our own charcuterie, wines, olive oil, jams, and honey, we have now partnered with one of the best artisan distilleries in Italy to offer a grappa and a brandy. Distilleria Nannoni, located in nearby Paganico, has been in the business for more than four decades and exports globally, from the United States to Japan (they’ve won, and continue to win, countless awards http://www.nannoni.net/website/riconoscimenti ). 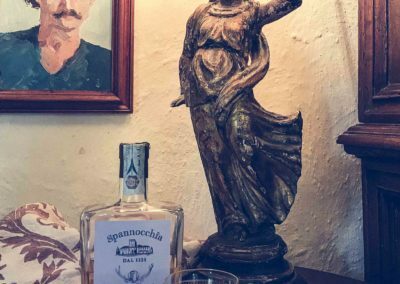 Like Spannochia itself, Distilleria Nannoni doesn’t condone large industrial practices, nor do they rely on gimmicks or shortcuts. Their process is instead based on a seasonal model that values quality over quantity. Only fresh pomace—or marc, the solid remains of the grapes after pressing—is ever used for the grappa, and both the grappa and the brandy are made using caldaiette distillazione, a low and slow boiler method of distillation that concentrates flavors and aromas. Throughout, Priscilla the master distiller overseas the process, resulting in products that are imbued with passion and that taste of our particular terre. 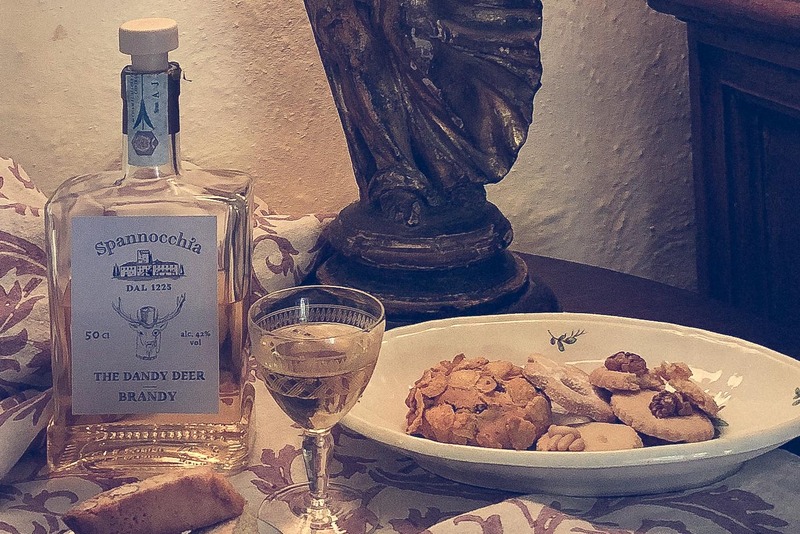 Although we’ve been making The One-Eyed Boar, as Spannocchia’s grappa is known, for almost a decade, we only teamed up with Distilleria Nannoni last year and are pleased with the results. Chiara, Randall and Francesca’s oldest daughter and an artist, originally designed the label to capture the mischievous spirit of the stuffed cinghiale that overseas digestivo hour in the Villa sitting room. 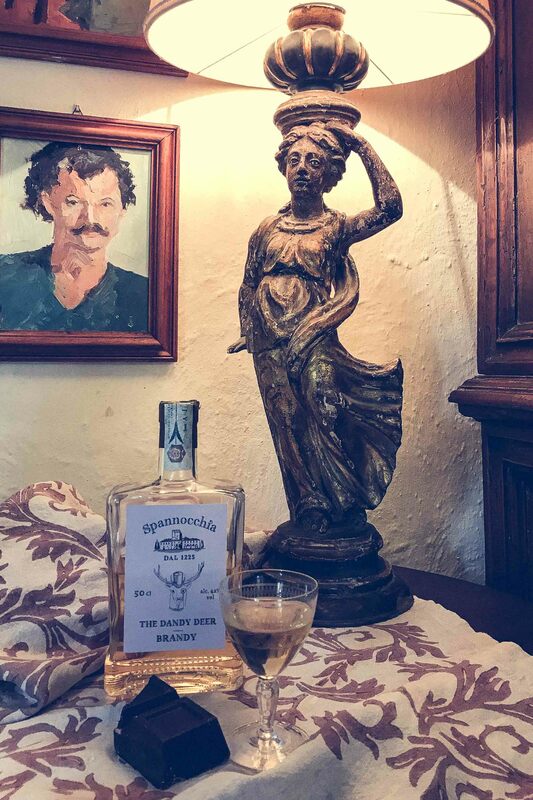 Meant to be enjoyed after dinner, as an ammazza caffé (coffee killer) or in caffé corretto (a “correct” coffee, with alcohol), our grappa is the one-eyed bandit at the party, strong and always willing to provide the last word. 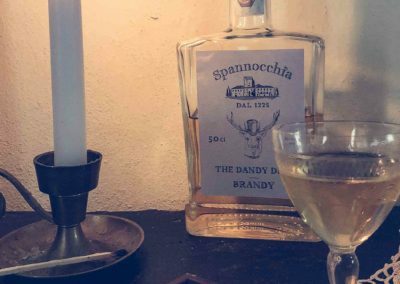 New to the party is the Dandy Deer, our brandy. Sophisticated and smooth, the brandy is made using our 2014 rosso toscano, which is distilled and then aged for more than a year in our old vinsanto barrels. A counterpoint to the One-Eyed Boar, we encourage you to sit with a glass and reflect, smelling the hazelnut, vanilla, and citrus notes, before taking your first sip. 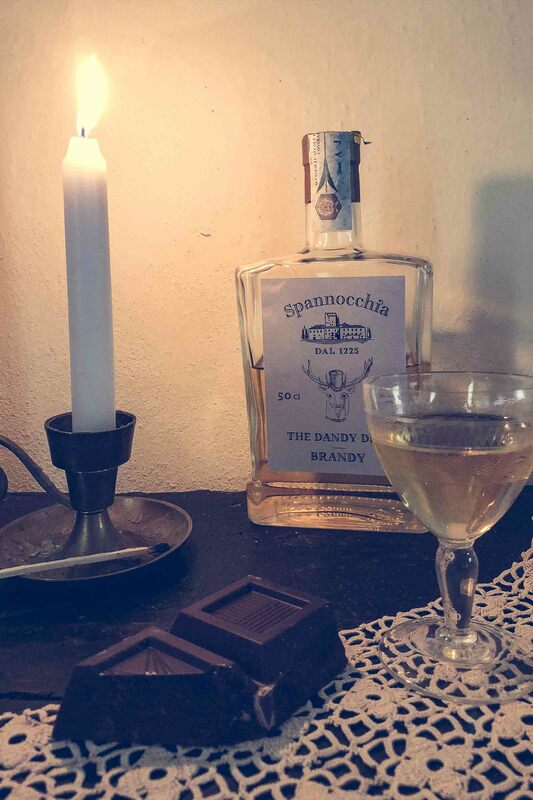 Instantly warming, the brandy tastes of our wine and vinstanto while maintaining a distinct flavor all its own. 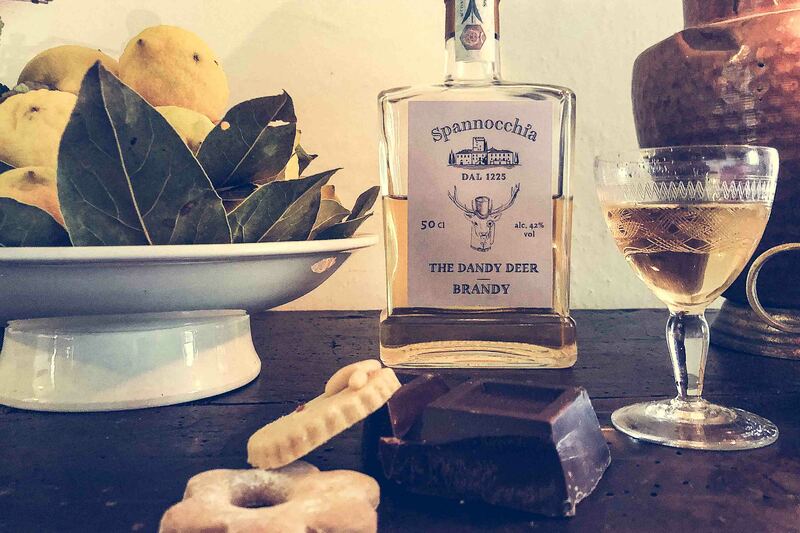 Best enjoyed with chocolate, biscuits, or simply on its own, the Dandy Deer is evocative of evenings spent around the fire, in long conversations that melt the day away.